Trains Today: Comment: To brand or not to brand? Comment: To brand or not to brand? 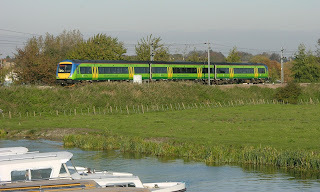 Trains 170 approaches Ely on 4th November 2006. Whatever your view on privatisation of Britain's railways it has without doubt been colourful. The first fruits of colour bloomed out of BR corporate blue in the late 80's with sectorisation and creation of railway businesses such as InterCity and Network SouthEast. 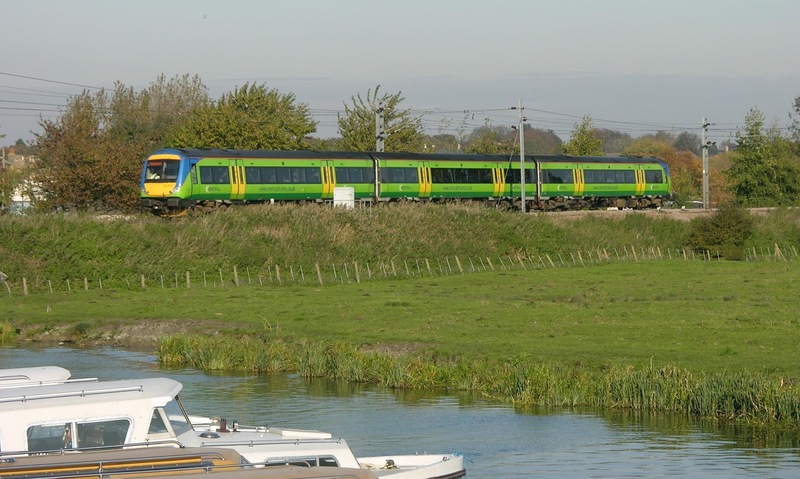 When privatisation took hold 'en mass' the railway was awash with colours it had never seen before; Central Trains brought us lime green, Anglia; turquoise while Midland Mainline gave us a peculiar shade of teal. Liveries continued to morph with the vinyl revolution in the 2000's making once un-paintable liveries possible- the 'dynamic lines' of First Group and even at one stage a mobile Ginsters Pasty advertisement! More recently something seems to have changed. Several large franchises have adopted somewhat more generic liveries or decided not to re-brand at all. 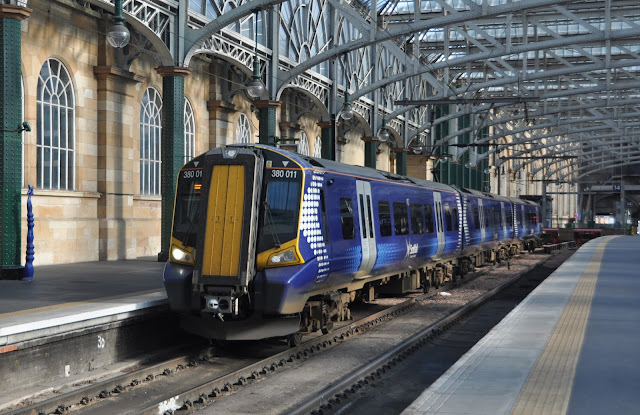 The first area to throw a spanner into the debate was Scotland- where many of the decisions on the railways are already devolved to Holyrood. Here the Scotish government has taken the lead and specified a livery which was first applied by First Group- the 'Saltair' livery. What happened here for the first time was the removal of the rail operators image from the franchise. First Group and now Abellio (who have run ScotRail services since April 2015) have a small logo pasted onto what is otherwise a 'national' livery. There isn't even a mention of Abellio in the company name or much of their promotional material - it is very much 'ScotRail - Scotland's Railway'- and it will stay this way for the considerable future negating the cost of re-painting vehicles which has long been lamented as a wasteful by-product of the franchise system. First group has now gone on to de-brand another of their franchises- the flagship Great Western route out of London Paddington to Wales and the West country. In a bold move the 'dynamic lines' of First Great Western will be replaced by a smart (if slightly dull) dark green and silver scheme harking back to the networks Brunelian routes as the Great Western Railway. It is yet to be seen if this will be another livery which will transition with a new franchisee, and while only a handful of trains have yet been repainted the re-branding of the website and station announcements from 'First Great Western' to 'Great Western Railway' has certainly been stark. Another surprise has recently been thrown into the pot by what is now the largest rail franchise in the UK- Govia Thameslink Railway (GTR). 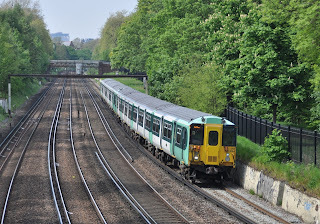 This new monster franchise is the combination of former First Capital Connect (FCC) and Southern franchises within which there are four brands- Thameslink, Great Northern, Southern and Gatwick Express. While GTR has worked to remove former First Group branding from it's ex-FCC trains it has surprised some critics by taking the decision to retain the existing brands and not to re-package all operations as GTR. 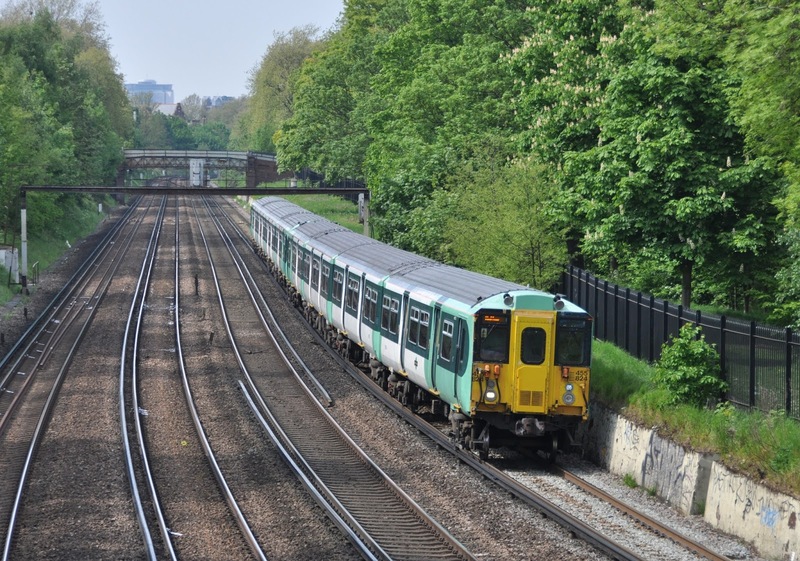 Those passengers on the Southern and Gatwick Express routes (already owned by Govia) are unlikely to have noticed any difference in the appearance of their rail franchise since GTR took over in July this year. In a talk to the Institute of Railway Operators CEO Charles Horton explained that the individual brands had become established and were recognised by their individual passengers. He reiterated that the large size of the franchise was not important and that smaller changes to services and facilities would instead define the success of the business. In keeping the existing route brandings best practice can be taken from each to build a better GTR. It seems that as the franchise model matures the garish paint schemes of the not-so-distant past are becoming more subdued and also maturing. Operators are becoming more focused on service and less on having the most eye-catching paint job as their train pulls into the station. This is an attitude I would support as I have long argued that the public by and large does not care whether their train is aquamarine or pink- so long as it arrives on time and provides a safe and reliable service at a fair price. All this said it is difficult to see brand conscious operators such as the Virgin group relinquishing their red and silver scheme which is as much part of the product as the train itself.